Welcome and get ready to experience the art of therapeutic and traditional massage! Whether you’re trying to speed up your recovery, reduce your stress, or booking a well deserved treat, Lucy will create the perfect experience for you. Now you have even more reasons to celebrate! Take $10 off any massage during your birthday month! Learn About My Birthday Special! Give someone you love the gift of Relaxation & Health! Just choose how much you’d like to gift, and let us do the rest! I’ve EXPANDED – into a larger space and added more services! I have had the opportunity to expand with a beautiful space upstairs, my current office is providing even more services, and I’m especially excited to now offer classes in the energy field. My intent is to partner with spirit, and offer a place for people to learn more about themselves on a physical, mental, emotional and spiritual level. 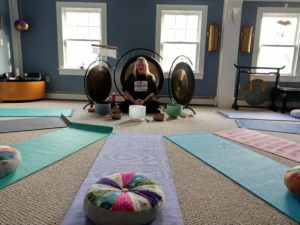 Now offering a variety of classes involving our energy field and our connections. We are LIGHT and LOVE and there is NO greater power. Tucked away in the quaint town of Columbia, Connecticut is an understated gem of healing and well being. 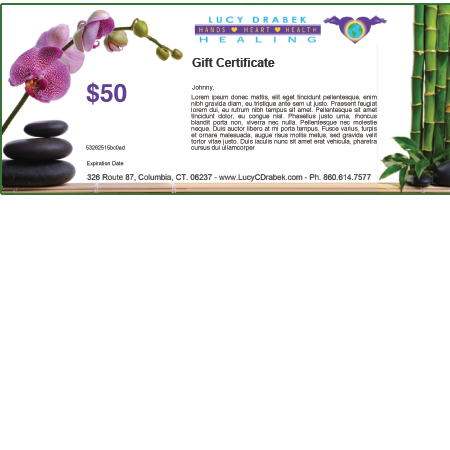 Known as the Hands, Heart, Health & Healing Center, owner Lucy Drabek has been quietly changing the lives of Connecticut residents for over 20 years through her unique combination of traditional massage therapies and energy healing techniques. Though known mostly for her massages, Lucy has become a well versed practitioner in many holistic modalities, including reiki. Not only does she understand and feel physical ailments and discomforts, but Lucy goes beyond to balance out her client’s energy fields and clear energy blocks that may be causing negative physical manifestations. As an intuitive healer, Lucy can help you assess your needs and move you in the right direction for complete physical, spiritual, and emotional healing. 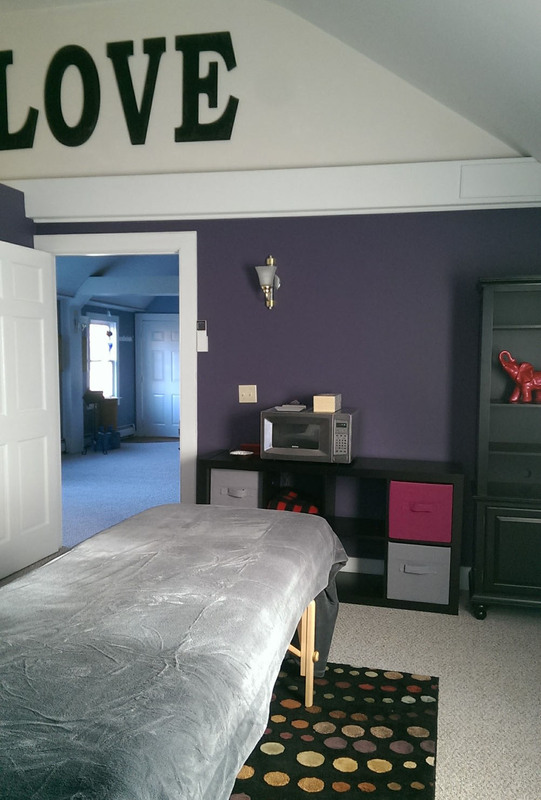 So whether you’re in search of an excellent massage, or hoping to heal more than just your body, the Hands, Heart, Health, & Healing Center is exactly what you’ve been looking for! Relaxing and soothing, hot stone massages are a perfect way to deal with those winter blues. Let the heat of the stones sink in to your muscles, and warm you from the inside out! Send a Message or Call 860.614.7577 to Book Your Appointment! 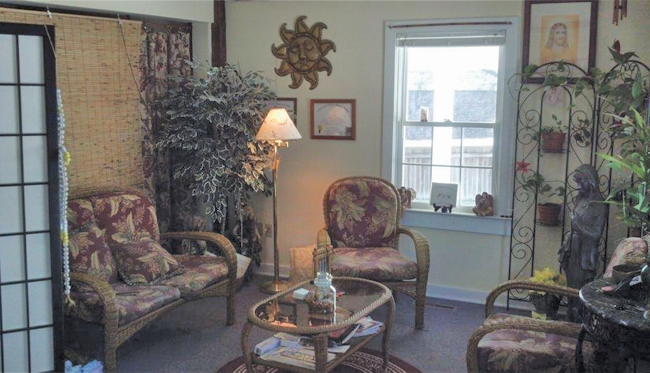 Have questions about Lucy’s services or availability?